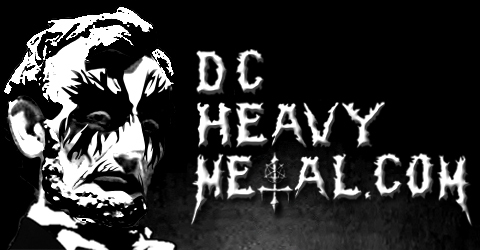 This post is the debut piece from new DCHM contributor Buzzo Jr. Those of you that already know him can back me up that this guy is really passionate about his metal, and I think that he’ll do just fine here. In this post he’s writing about Foehammer, a new band in our area, though the members have been active in our metal scene for some time. Some of you may remember that they were the opening act at the DCHM Holiday Party last December at the Pinch. So take a few minutes to read his words about Foehammer’s debut and of course be sure to stream some of the tunes at the bottom of the post too. One of the many things the DMV area is well known for is its fantastic doom metal scene. There is no short supply of bands worshipping at the altar of Tony Iommi with fuzz-fueled riffs in the area. 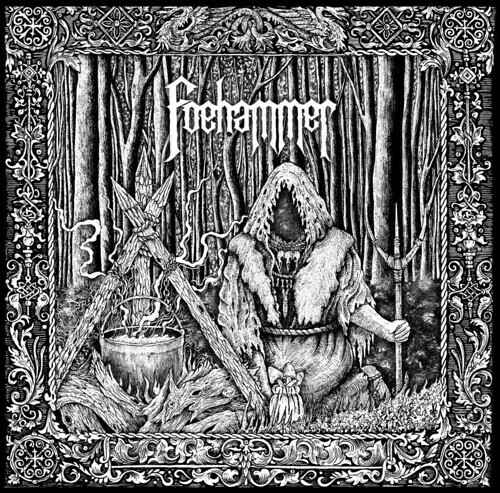 One of the newest releases to do so is the self-titled EP from Foehammer, hailing from Annandale, Virginia. With only three songs on the album, each surpassing nine minutes and the final track at a whopping 14, these guys really know the meaning of slow, heavy doom. First and foremost, the most important thing in all of doom is you’ve got to have solid riffs. And boy do Foehammer deliver. While very simple in structure, every single riff from Joe Cox’s guitar comes at you with full force, lingering on and setting the stage for the next. At some points the riffs sound almost trance-like, and influenced by drone bands such as Sunn O))). The basslines on the record are equally heavy, providing even more distortion to the already low and deep guitar tone. Many funeral doom acts tend to over-distort the bass in order to add to the overall “heaviness,” but end up sounding way too muddy. Foehammer fortunately avoids this misstep and keeps the bass at a perfect level of fuzz, the result being basslines that are clear and audible, but not overpowering the rest of the instruments. Another thing that sets Foehammer apart from other doom bands playing right now would be the vocals. Jay Cardinell’s vocals are not your typical doom vocals in the realm of Wino or Bobby Liebling, but are more reminiscent of death metal bands such as Incantation. The gurgling, low growls at times invoke images of a demonic cauldron, bubbling with an ominous mixture inside. Quite fitting for a band that takes its name from Gandalf’s sword from the “Lord of the Rings” series. Finally, Ben Blanton’s drumming on this record adds the final much needed element to the mix. Each time one of his sticks hit down they hit hard, creating a pounding procession of tribal-like grooves. The songs, while limited in number, are all slow, heavy, and relentless; hardly ever straying from the set path of full on distortion-laden riffs and pounding drums. The only time the album does quiet down is during the halfway point of the song “Final Grail,” when a beautiful acoustic passage suddenly comes in. The contrast with the acoustic section demonstrates how crushingly heavy Foehammer’s sound actually is once the riffs come roaring back. A minor gripe I have with the album is that while the songs are great, the acoustic section in the first song is the only time the band seems to mix it up, with the rest of the songs not showing much variety in their structure or sound. Apart from that small issue, the album still delivers on what it intended to, and if you’re a fan of incredibly heavy doom in the realm of Samothrace, Conan, Buried At Sea, or even more melodic acts like Pallbearer, then I highly recommend this album. Foehammer’s self titled debut is a great offering of slow, fuzzy funeral doom that’s bound to shake your speakers and probably your skeleton as well. You can pick it up on April 7 on CD, cassette, or digital download through Baltimore based record label Grimoire Records, or on vinyl through Australopithecus Records.